The Washington Capitals are just one win away from the Stanley Cup. Throughout this playoff run, the team has experienced many ups and downs, disappointment and triumph, moments that have been shocking and sometimes plain weird. The same can be said of the transit system that gets many of the teams’ fans to its games. Due to budget restrictions that limit its hours of operation, the Washington, D.C. Metro has a history of forcing fans of each major D.C. sports team to leave games early so they can catch the last ride. These Stanley Cup playoffs have been no different. Washington fans have not seen one of their teams compete for a championship in two decades. 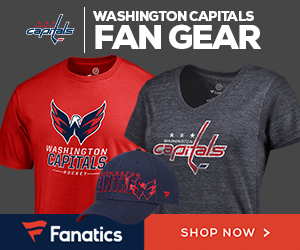 For many of these fans, each passing game in the Capitals’ road to the Stanley Cup has become the most important sports moment in recent memory. As such, the twists and turns that have resulted from the city’s largest public transportation system desperately trying to get fans to and from games have become more and more noteworthy. All the drama started in the Capitals’ first game of the playoffs. The game was 4-4 and headed to overtime. In the intermission between the third period and OT, Capitals fans received a message on the scoreboard that piled even more stress onto the anxiety-inducing prospect of watching playoff overtime hockey . Out of the kindness in his heart, Blue Jackets’ winger Artemi Panarin ended the game before the clock struck 11:00 PM. Fans were able to get home on time, but the final train out of Gallery Place was likely not a happy one. When Game 2 of the series went to overtime, WMATA decided to roll the dice. There was no in-arena closing announcement, and perhaps the Metro was gambling on the game ending before there would be any issues. If that was the case, Matt Calvert of the Blue Jackets answered its prayers (and gave Columbus a 2-0 series lead in the process). After scheduling scares in the first two games of the playoffs, the Metro had a brief and welcome stint away from the spotlight. The Capitals went on to beat the Blue Jackets and six games. The only other game at Capital One Arena took place during the afternoon, so there would be no problems there. In the Capitals’ second round series against the Pittsburgh Penguins, all the games in Washington, D.C. ended in regulation. The Metro’s hours were not being pushed to the brink, and an issue that seemed like a developing story line at the beginning of the playoffs was starting to fade. The Capitals were set to host D.C.’s first conference final game in any sport since 1998. Exelon and Pepco, a major energy provider in the region, footed the $100,000 bill to extend the Metro’s hours after Game 3 and ensure fans would be able to take the train home. Prior to Game 4, WMATA announced a more unexpected source of funding: the small, wealthy, oil-exporting nation of Qatar. The deal initially fell through, the main issue being confusion over the legality of WMATA accepting funding from a foreign country. However, as negotiations continued, the parties found a solution that allowed Qatar to provide the funds. Qatar funneled the money through the DowntownDC Business Improvement District. Thus, from a legal standpoint, DC BID was writing the check, and not Qatar. Since the Qatar incident, Uber and Xfinity have stepped up to fund the additional two games that have required extended Metro Hours (Game 6 of the Eastern Conference Final and Game 4 of the Stanley Cup Final, respectively). Uber raised some eyebrows as an unlikely sponsor, as it tends to be a direct competitor of public transportation. Some have speculated that Uber was attempting to curry favor with D.C. public officials as they consider a ride-hail tax increase that would directly impact Uber. Personally, I believe Uber was passively flexing their muscles on WMATA, showing public transportation how little $100,000 means to them much like Jordan Belfort throwing dollar bills at the FBI agent in The Wolf of Wall Street. In the Stanley Cup Final, however, the Metro received some positive publicity that had nothing to do with funding or hour extensions, courtesy of T.J. Oshie and Matt Niskanen. Prior to Game 3, Oshie and Niskanen decided to experience the pregame commute like the rest of us. After the Capitals came out of Game 3 victorious in one of their best 60-minute performances of the postseason, Oshie and Niskanen did not want to change anything up. But prior to Game 4, Oshie’s lack of Metro experience caused a bit of a snafu. Oshie was unable to pay his exit fare, as his Smart Card was 35 cents short of the cost to ride the train. Fortunately for Oshie, the Metro workers gave him a free pass and let him through. Who said being a professional hockey player in the Stanley Cup Final didn’t have its benefits? Oshie arrived on time, and the Capitals went on to win 6-2. Oshie scored the game’s first goal and tallied two assists, so it’s safe to assume that if the series comes back to Washington, Oshie will be piling on train the once more. However, with Oshie already experiencing a bit of the logistical frustration that Metro riders so often experience, one has to wonder if he will be able to hold up as an everyday commuter. Hey @tjoshie77! Congrats on an amazing win! Bring home the #StanleyCup and we're gonna make a commemorative smartrip card in your honor! Here’s hoping the Capitals get the job done in Vegas and we don’t have to find out. The Smart Puck automatically tracks your team’s stats.